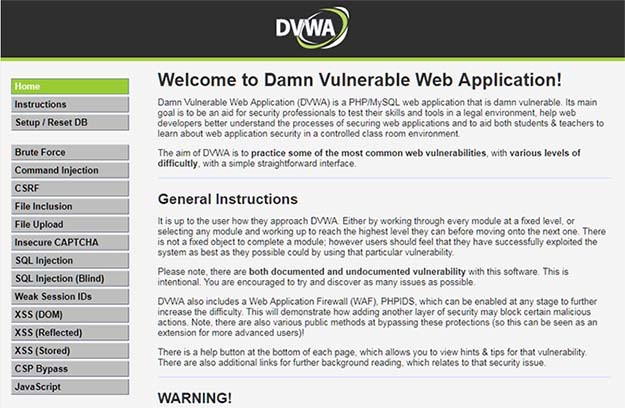 Damn Vulnerable Web Application, shorter DVWA, is a PHP/MySQL web application that is damn vulnerable. 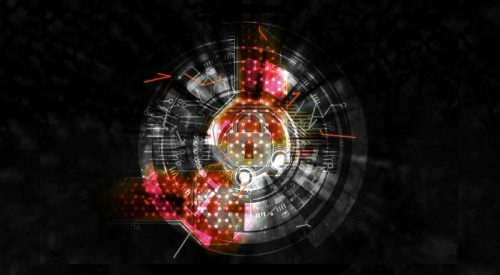 The main goal of this pentesting playground is to aid penetration testers and security professionals to test their skills and tools. In addition it can aid web devs better understand how to secure web apps, but also to aid students/teachers to learn all about web app security and possible vulnerabilities. 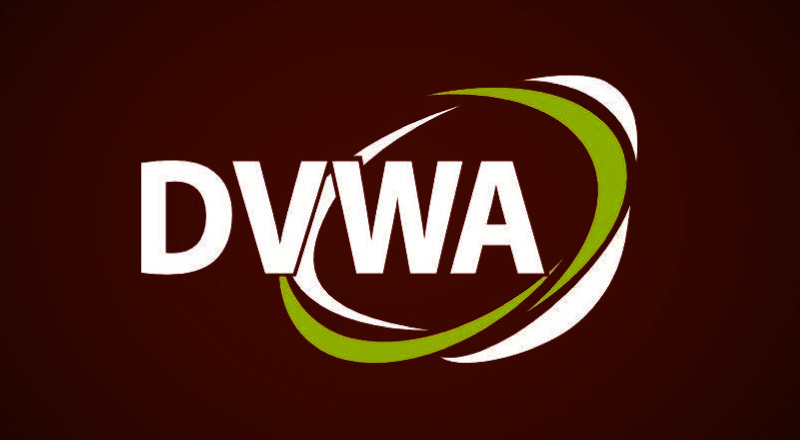 Disclaimer: Authors don’t take responsibility for the way you’ll use this vulnerable web application (DVWA). 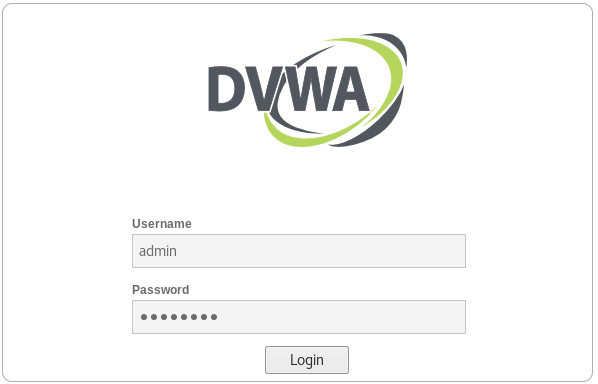 Do not install DVWA on to live web servers, otherwise you’ll take the responsibility for any damage caused by installing DVWA. 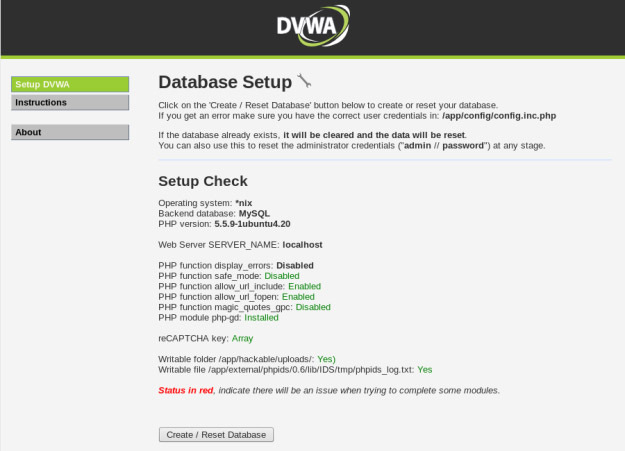 DVWA is a damn vulnerable web application coded in PHP that uses MySQL database. With this amazing pentesting web app you can practice some of the most common web vulnerabilities (different levels of difficulty) using its very simple GUI. You can play around and try to discover as many issues as possible in order to deepen your knowledge/skill set. WARNING: Do not upload it to your hosting provider’s public html folder or any Internet facing servers, as they will be compromised. It’s recommended to use Virtual Machine (Virtual Box, VMware, etc.). Note: If you are on Kali Linux, you’ll need to create a new DB user since MariaDB is default in Kali. There is one more, you’ll need to provide reCAPTCHA keys in the config.inc.php file (Click on the “documentation” button below for more details). Don’t forget to restart server and MySQL. That’s it! Now you can play around and test your skills.